North America more in "Tampa"
Le Méridien has developed Unlock Art, an innovative partnership that offers guests complimentary access to local contemporary cultural institutions - guests can gain access to the Tampa Museum of Art free of charge by presenting their artist designed key card - a card that opens the door to more than just the guest room. Engage, debate, cultivate. 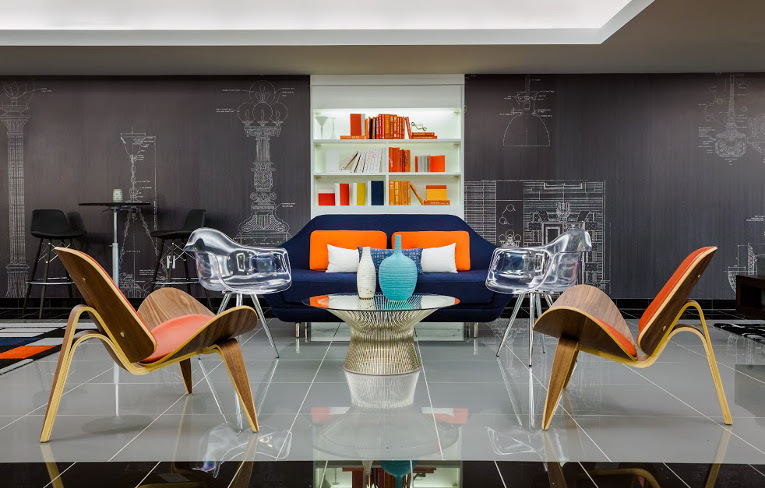 The Hub at Le Méridien Tampa transcends the traditional lobby experience. Enjoy a unique espresso or indulge in one of our signature éclairs while you peruse through our library of local books. 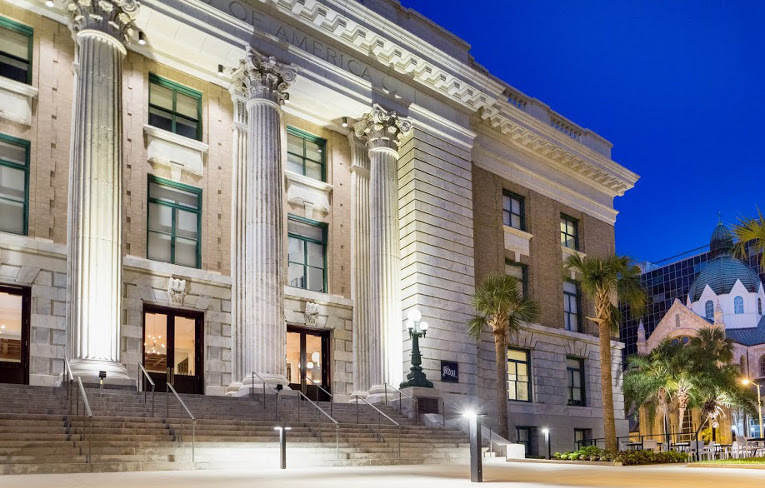 Recognized by the National Register of Historic Places, the century-old historic federal courthouse has been transformed to reveal a boutique hotel. Transcending time, take in elements of the original courthouse paired with artistic discoveries of today. 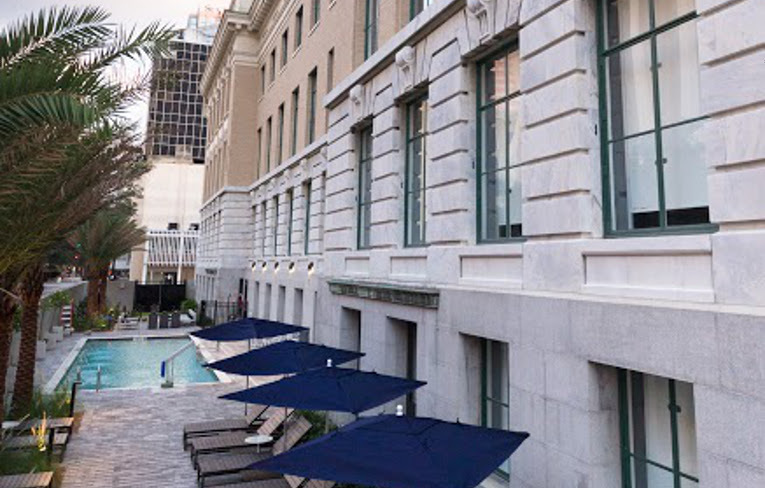 Once a federal courthouse, this new Tampa Bay hotel mixes contemporary culture with it's European heritage. 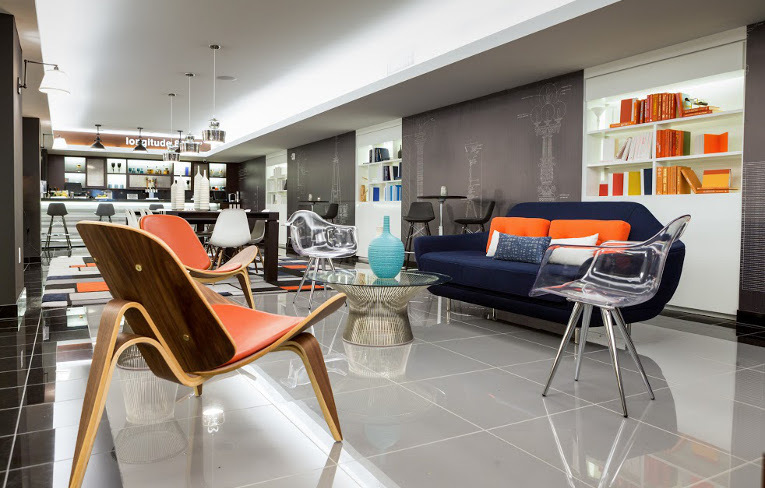 Providing easy access to the discover the best things to do in Tampa, including art galleries, museums, dining, shopping and entertainment, Le Méridien hotel is your destination to be discovered. 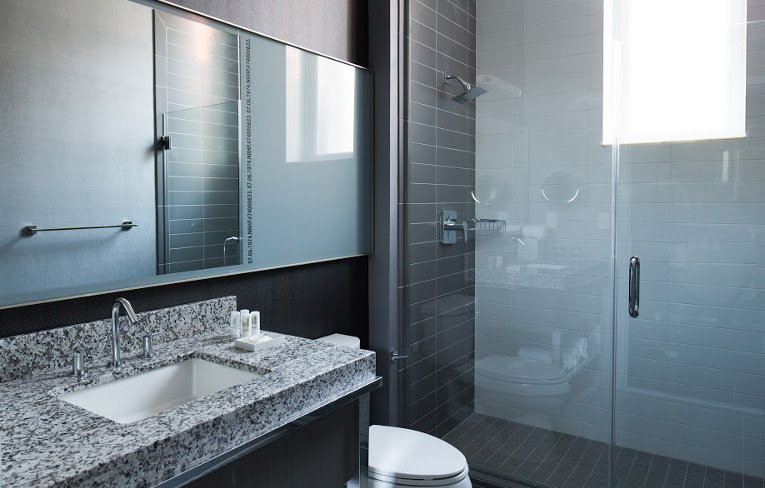 Inspiring architecture complements the warm palette and modern touches of the new Le Méridien Tampa. 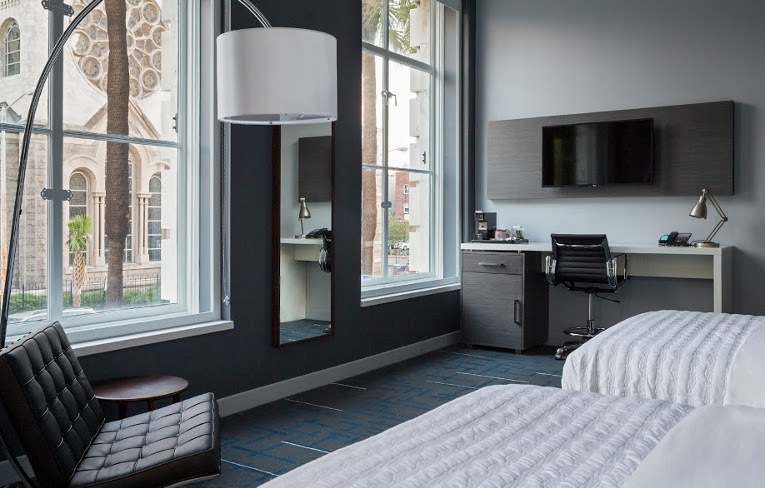 Recognized by the National Register of Historic Places, the century-old historic federal courthouse has been transformed to reveal a boutique hotel boasting 130-inspiring guest rooms and suites. The outdoor pool at Le Méridien Tampa offers a relaxing environment to unwind after a day of traveling or exploring the attractions, galleries and restaurants in Tampa. Relax in a lounge chair by the pool and soak up the warm Florida sun before cooling off in the crystal clear blue pool water.